پذیرش دانشجو در ۱۵ رشته کارشناسی ارشد. به گزارش کنکوران، پردیس کیش دانشگاه تهران برای ترم مهر سال تحصیلی ۹۷-۹۸ در مقطع کارشناسی ارشد در دوره‌های بین‌المللی در ۱۵ رشته تحصیلی دانشجو می‌پذیرد. University of Tehran Kish International Campus, in pursuit of its mission of extending international programs accepts qualified students who are interested in postgraduate degree programs in English. Selection takes place on the basis of applicant’s quality and suitability through reviewing his/her academic records, scientific backgrounds, publications, and academic honors by the Board of Admission. Applicants might also need to attend an academic interview relevant to the course they’re applying for. At the end of the program, graduates will receive an official degree from the University of Tehran Kish International Campus. UT- KIC Scholarships for International Students, Fall, 2018 .Click here please. – Holding a B.A. or B.Sc. degree (at the time of registration) from an accredited institution. – A scanned copy of two letters of recommendation from individuals who can attest to applicant’s educational capabilities. – A scanned copy of official transcripts translated into English. – A scanned copy of applicant´s Passport (International) / Identification card (Iranian). – A scanned copy of applicant’s recent photograph. – A scanned copy of English Certificate. The original documents will be needed at the time of registration. kish@ut.ac.ir no later than May 20th, 2018. To be considered for admission, applicants must be comfortable with rapid and idiomatic spoken English. There are several ways to show that an applicant is proficient in English on his/her application. – The applicant’s native language is English. – The language of instruction at his/her university has been English for the duration of the previous study. UT- KIC has established an Intensive English preparatory program which will be run during Summer, 2018 both in Kish Island and Tehran for students who are qualified to be admitted for the degree program but their English Language skills fall below the minimum required scores. The Program is designed to increase the language skills of students and enable them to succeed in their studies. The admission for any of the M.A. or M.Sc. degree programs requires succeeding in one of the above mentioned English proficiency tests. – Classes will be held in English at the University of Tehran Kish International Campus on Kish Island. – Classes will be held during the week and students are required to attend all the classes. – Students are required to pay the tuition fees and cover all other living and accommodation expenses. – Students may be required to pass some prerequisite courses based on the decision of the Board of Admission. – Transferring to other colleges and campuses of the University of Tehran is prohibited and such requests will not be accepted under any circumstances. – Male Iranian applicants should have no legal prohibition to continue their education in Iran based on the military service rules. Educational exemption of military service will be provided for those Iranian male applicants who are admitted and registered in any of the M.A. /M.Sc. Programs. – The original documents will be needed at the time of registration. – Each program will be performed provided that sufficient number of qualified applicants is enrolled. – Students need to pay the tuition fee at the beginning of each academic semester. – In cases of the cancellation of enrolment or withdrawal from a program, the tuition fee will not be refunded. 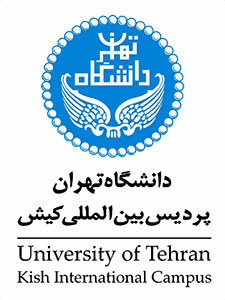 – If the applicant does not meet the admission requirements during the process of admission at any stage including registration, examinations and studying, his/her registration or studies will be prohibited according to the rules and regulations of the University of Tehran Kish International Campus. An application fee of 900000 (Rials) is required for each Iranian applicant. The applications will not be considered before the fee is paid. All Iranian applicants are required to pay the fee and send a scanned copy of the bank receipt as a proof of payment. The tuition fee for Iranian and International students does not include the cost of living, accommodation and other expenses.